The 2017 Toyota Corolla iM rides on the same platform as the regular Corolla, but drivers will find that it doubles down on performance while still delivering the cargo dimensions you’d expect from a high-end hatchback. It also comes loaded with features and provides a compelling selection of state of the art features. 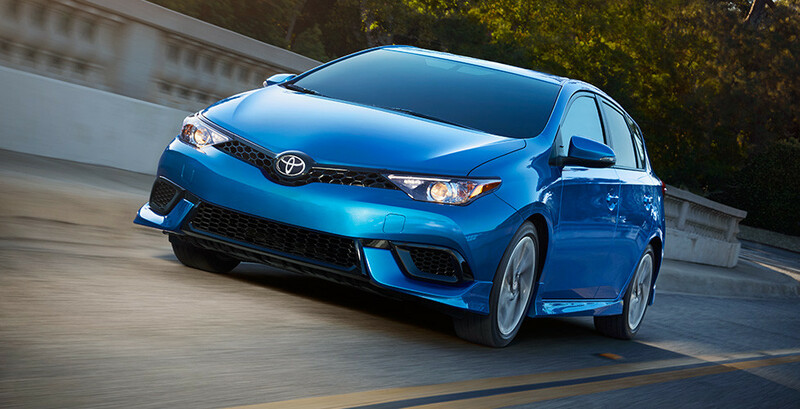 This might be the first iteration of the Corolla iM, but the vehicle has already emerged as a frontrunner for drivers searching for a high-performance hatchback. The 2017 Toyota Corolla iM is a sporty little hatchback that isn’t designed for drivers who like to make compromises. As such, it provides a whole host of enviable features across one single trim level. Starting at an MSRP of $18,750*, the iM comes as standard with amenities such as LED Daytime Running Lights, cruise control, backup camera, and a 7-inch inch touchscreen, with many extras available to further customize your ride. The strikingly sporty exterior of the 2017 Toyota Corolla iM promises exhilarating performance, making it a standout option for swinging through Los Angeles during rush hour or taking in the sweeping curves of the Hollywood Hills. Up to 27 mpg in the city and 35 mpg on the highway with 6-speed manual**. Up to 28 mpg in the city and 36 mpg on the highway with Continuously Variable Transmission (CVT)**. MacPherson strut front suspension and double-wishbone rear suspension tames that output to let you hug corners and breeze over any bumps in the road. The aero kit, which comes as standard, improves aerodynamics to let you whip through the air with a minimum of effort. Sitting in the front of the 2017 iM allows for expansive visibility thanks to a raked-back windshield and narrow roof pillars, and there’s up to a generous 39.7 inches of front headroom and 41.7 inches of front legroom. This might be a hatchback, but it’s still a welcoming vehicle for drivers over six feet tall, and available luxurious such as a leather-wrapped steering wheel help provide an upscale air. 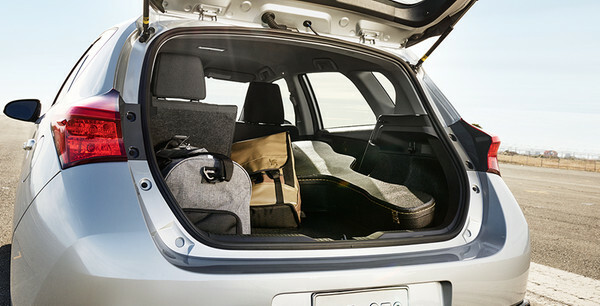 Cargo capacity is also impressive, with up to 20.8 cubic feet or storage space behind the rear seats along. That cargo area is unusually wide, so taking bulkier items is a breeze, and the 60/40-split folding rear seats can boost that cargo area when you need a little more room. 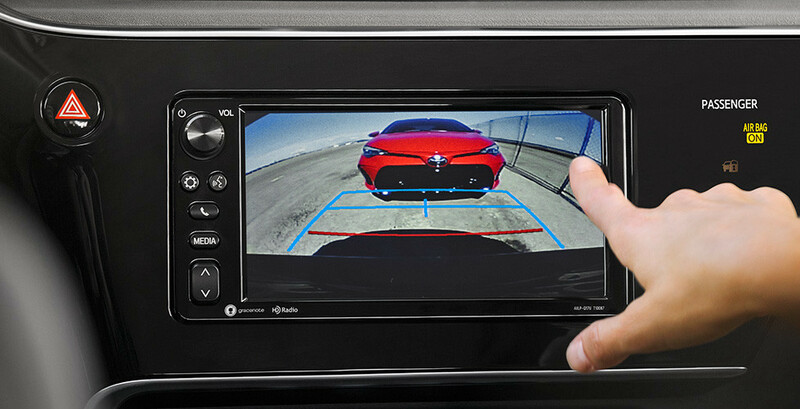 Integrated Backup Camera: The Corolla iM will activate your integrated backup camera as soon as you put the vehicle into reverse, making it easier to slip into parking spaces in cramped or crowded environments. Dual-Zone Climate Control: If your passenger wants to bake in the California heat but you want to keep things cool, they’ll be no need to compromise; the dual-zone system provides individual climate controls for the both of you. 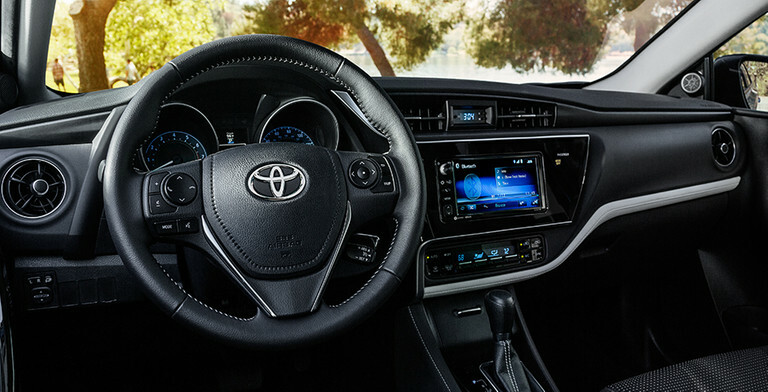 Display Audio with Navigation: Combines iPod connectivity and satellite navigation through a high-resolution 7-inch touchscreen system. You can even access over 100,000 stations via Aha Radio. Each of these high-end protection technologies comes fitted as standard as part of the Toyota Safety Sense C (TSS-C) package. If an accident should occur, eight standard airbags will be intelligently deployed and whiplash-injury-lessening seats will move forwards to protect you neck. 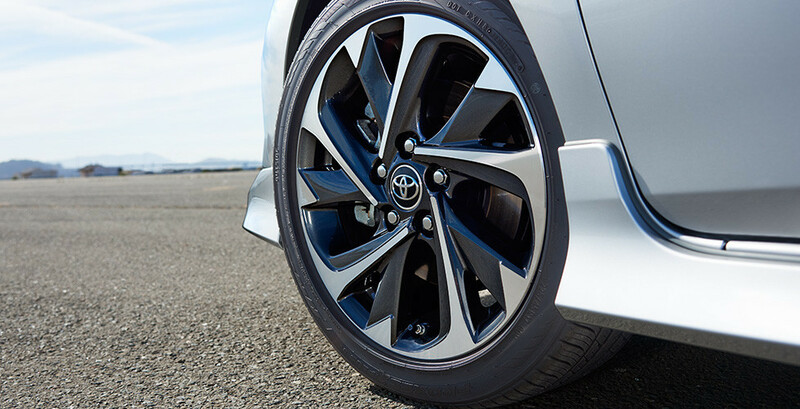 For added peace of mind, each and every Corolla iM comes with a ToyotaCare plan to provide coverage for 2 years or 25,000 miles, whichever comes first, plus 24-hour roadside assistance for 2 years, regardless of mileage. Want to take your kids or friends down to Huntington Beach? The 2017 Toyota Corolla iM can get boogie boards and beach gear aplenty in the rear. Need to tackle the morning commute in something both nimble and efficient? The Corolla iM will fit the bill. No matter what you need it for, you can find the 2017 Corolla iM waiting at Marina Del Rey Toyota.